The first week of any legislative session is fairly predictable. Legislators start getting settled into their new routines, committees are organized, state agencies begin presenting their budget requests, and we start learning about potential legislative proposals that will be introduced. We also have three prescribed addresses the first week of session: the State of the State, the State of the Judiciary, and the State of the Tribes. Chief Justice David Gilbertson highlighted the success of South Dakota’s Rural Attorney program, drug and alcohol courts, mental health evaluations, and improvements at the Law School in Vermillion. He also talked about the increase in litigation involving trust assets. South Dakota leads the nation in trusts, with $3.2 trillion invested in the state. Rosebud Sioux Tribe President Rodney Bordeaux expressed his desire to work with the Noem Administration in areas such as education, mental health services, substance abuse, health care, and economic development. 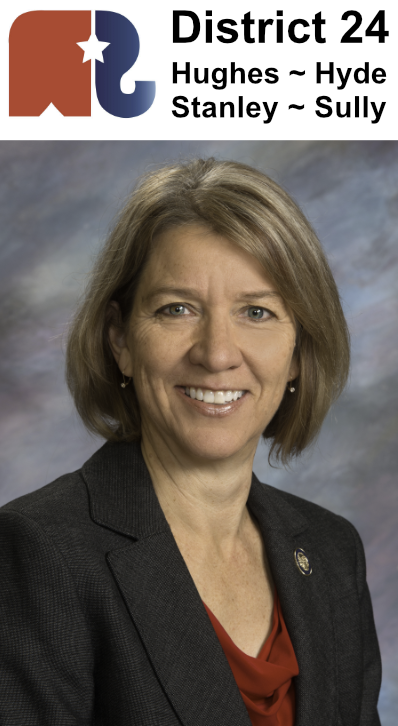 As various state agencies and offices begin presenting their budget requests to the Appropriations Committee, they are using the numbers from Governor Daugaard’s budget proposal in December. The committee anticipates Governor Noem will provide an updated budget recommendation within the next week or so. One area we will be watching is the amount of revenue from online sales taxes. When the state has collected $20 million from online merchants, the 4.5% sales tax rate will need to be lowered. You can find comprehensive legislative information online at: sdlegislature.gov. 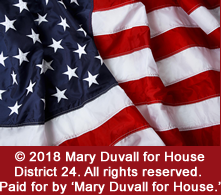 Please feel free to contact me throughout the legislative session at any time via email at Mary.Duvall@sdlegislature.gov. I welcome your questions and comments on these and other issues facing the state.